Tell others about Vision Radio! 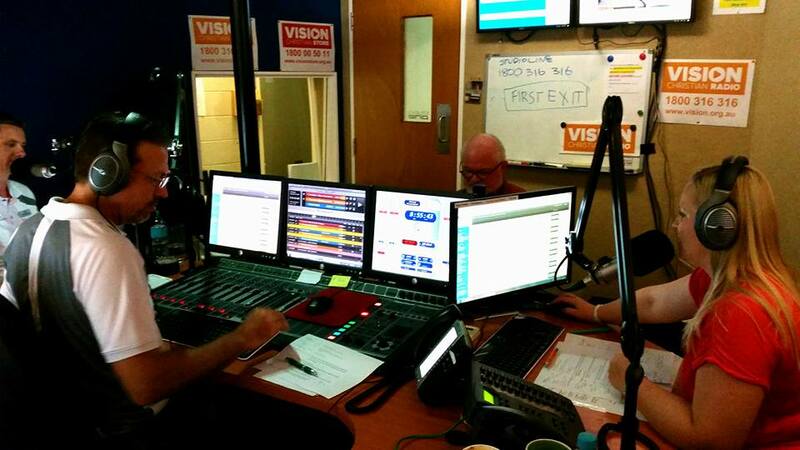 When it comes to spreading the word about Vision Christian Radio, one of our strongest assets ... is you! If you tell your friends and family about us, they too can become part of the Vision family. 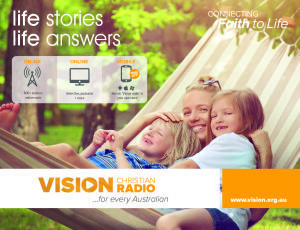 Just think, if every single one of our listeners persuaded one other person to become a regular listener, there would be twice as many Australians being provided with trusted Christian content. These days, everyone is connected to social media. Make sure you like and follow the Vision Christian Radio page on Facebook - because there's lots of great content, supporting what you hear on air. It's also a great way of communicating with the hosts while their programmes are actually on air. If you want to add a comment to the discussion, Facebook is ideal. You can visit our Facebook page here. If you see something that you like on our Facebook page, feel free to share it on your own timeline and introduce your friends to Vision that way. You can also connect with us on Twitter and you'll often see pictures from special events on our Instagram page. Social media is all about sharing, and we'd love you to share the things you enjoy on our social media feeds with your friends. You'd be surprised how many of your friends at church have never heard of us! Think how much great music and teaching they're missing out on. There are lots of things you can do within your church family to spread the word about Vision. If you use a big screen projector, for instance, for hymns and notices, maybe you might consider putting a slide up that introduces people to Vision. If you click on the slide on the left, you'll be able to download a large image which you can use, for example, as part of a Powerpoint file. (When the picture opens in a separate web page, right click on it and select "Save File As" to save it somewhere on your own computer). It might be helpful to put copies of our current programme guide out for people to pick up - you can download the guide for your timezone here. There's also a flyer that you can print out, and we can send you other promotional material if you fill in the form on the left. Fill this form in if you'd like us to send you some promotional material for church.